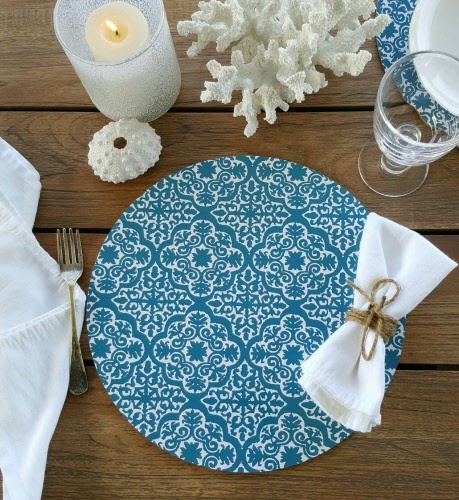 Avalon set of 4 Teal placemats. MDF with cork backing. Wipe clean only.